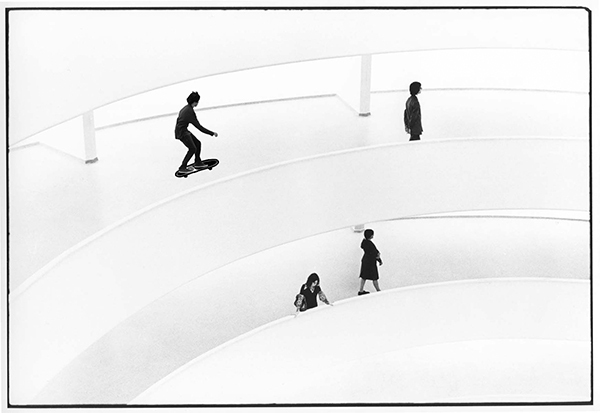 Dinedromoscope (from Greek: dine, “vortex” + dromo, “run” + scope, “to examine”) is a project destined to the involvement of the visitors of the Guggenheim Museum, New York, who are invited to throw themselves from the top of the museum, down along its spiral on dinedromoboards, long wooden decks with wheels similar to long skateboards, rounded according to a radius of curvature which reflect that of the building. 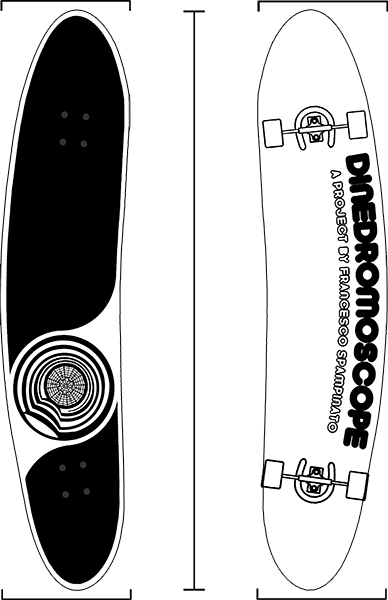 The dinedromoboards will be rented at the entrance of the museum. To the usual means of orientation like maps and audio-guides it is added then a means of transportation which, thanks to the structure of the building, make of speed a new unit of measurement for the exploration of a space and for the knowledge of works of art. The visit to the museum becomes a pure dromoscopic experience where the works of art assume new meanings and the space is rebuilt according to new coordinates. 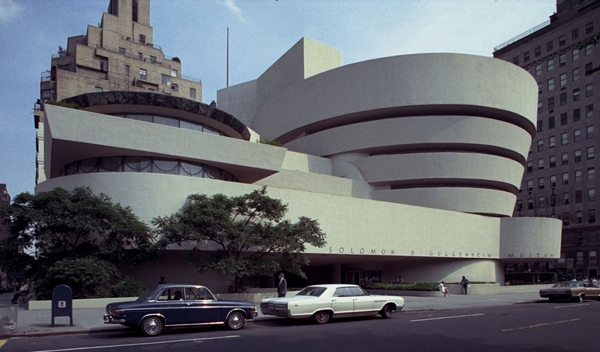 The aim of this project is to give the visitor a new kind of experience of the visit to the museum exploiting the characteristic spiral structure that has made Frank Lloyd Wright’s Guggenheim one of the best known museums in the world and one of the most important works of architecture in history. 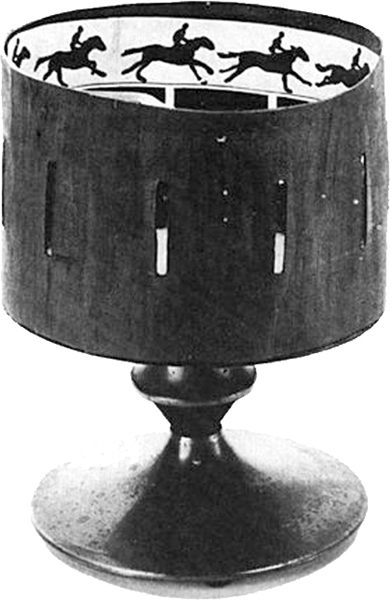 In this way, the project would transform the building into a new sort of optical device, the Dinedromoscope, in reference to the nineteenth century optical instruments like the Phenakistiscope and the Zoetrope, allowing us to analyze the speed of a body in free descent along an elliptical course. 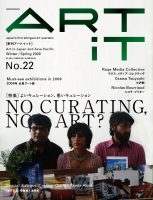 Dinedromoscope has been selected by legendary manga artist Shirigiari Kotobuki for the section Unsolicited Proposal that he curates on the Japanese contemporary art magazine Art iT (n.22, Winter-Spring 2009). Click on the cover to see it.